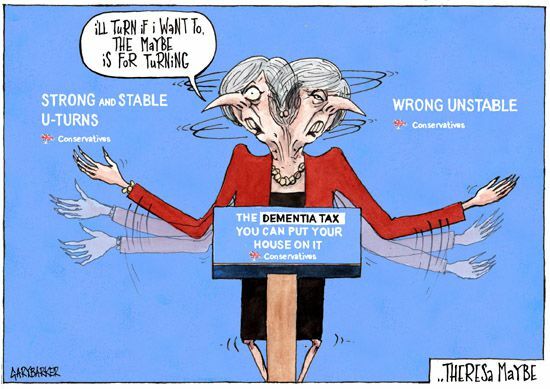 A disastrous week for Theresa May began with the dementia tax fiasco eminating from the Conservative Manifesto that pledged to take the homes of millions once they are dead in payment for their care. This created what can only be described as panic in May as she screached nothing had changed and a u-turn on the cap for care payments. The 2017 General Election eventually turned out to be a disaster for Theresa May and the Tories as they lost their majority and had to use £1.5 Billion of tax payers money as a bribe to ensure the DUP joined in effective coalition government with the Conservatives. It is difficult to see how this could be legal, but when a political party is not held to account by neither the powers that be nor the media they are effectively above the law.